Over my career as a creative and art director, I’ve had the pleasure of working with incredible talents. When I was at Austin Reed, as artistic director, I was asked to select the team to carry out the photography of the campaign. As creative director, there is always a slight moment when presenting the concept and team when you are not sure how the proposal will land with the boss. On that occasion, I was delighted when my team consisting of stylist Daniella Agnelli, photographer John Akehurst and model Caroline De Magret, was approved by the CEO and we were given the green light to book everyone. For the shoot, I chose Daniella for her meticulous eye for detail, John for his incredible sensibility for light, and model Caroline as she can’t help but exude a certain style and confidence. We shot the campaign over two days on location in a dishevelled old house with winding staircases. It was a perfect backdrop and contrast for the very ‘proper’ tailored clothes we were shooting. We were shooting first on Polaroid and then on film. 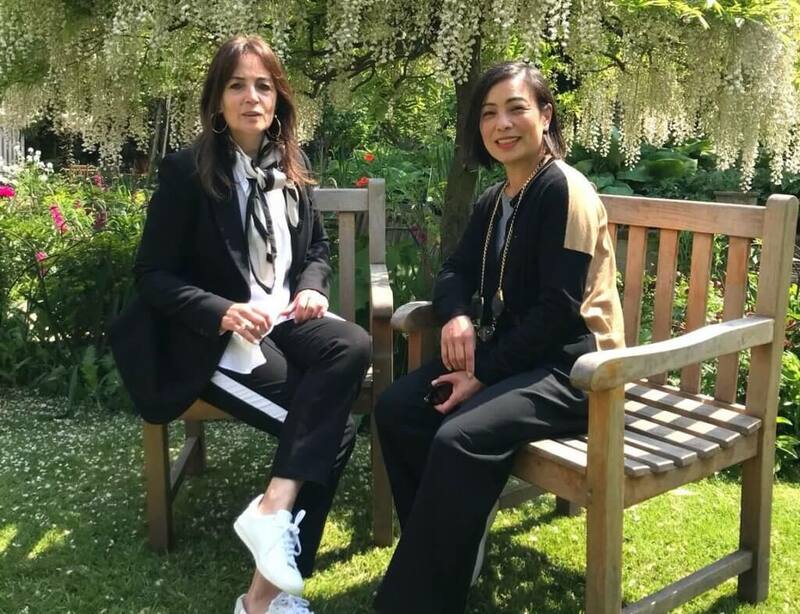 In this the third blog on fashion photography in the digital era I thought I’d catch up with the very same Daniela Agnelli, former fashion editor of the Telegraph Magazine to talk about her experience living through these changes. She has just this April launched Vogue Poland. JJ: Congratulations on the successful launch of Polish Vogue this year. DA: The first step is to get to know the culture and then decide the right cover concept. We started on the concept more than a year before the launch. I have an amazing team based in Warsaw, they are all professionals and have been working in magazines for a long time. So I spent a great deal of time with them getting to know the Polish Culture. There are many Vogues, and if you don’t give an identity for the country where you launch your Vogue, it’s just going to be the same imitation of others. We wanted to create an identity for our Magazine by having someone on the cover that represents the country. The composition of the cover had the iconic Palace of Culture as the backdrop. DA: The challenge for photography and styling in the digital age is enormous. Today image can change the perception or a brand. That applies to readers of magazines and obviously viewers online. It’s impacting on how we produce, and we create contents. It’s not only about the static image anymore, but it’s also about moving images. When you have to translate a brand visually, taking into account sales and retail too, it completely changes the perspective. So, I am not saying it’s negative or positive, it just changes, and you have to embrace it. JJ: How the actual art form and process of image creation changed? DA: Technology has its advantages. It’s instantaneous, and I can check immediately as to what’s going on and then we have the tools to repair images and manipulate them. For instance, last cover we shot before two days we were going to print it. You could not do that in the past. When I started working as a stylist with photographers, we used Polaroid’s then and shot only on film. At that time, there was more focus and more care in the process. You were taking a little bit more time to create that image, and it was like making a painting, it was a completely different process. With the speed of everything I think we’ve lost that magic. JJ: How has technology changed the process of selection/ retouching/ art direction? DA: It’s changed it completely. I sometimes I do my edits on the phone because I’m travelling. I’m working with Vogue Poland (based in Warsaw), and I work with photographers that are located all over the world. Sometimes we don’t even have time to meet and go through the proper edit which we would have done in the past, but that’s how we work today. If I have time, l do love to go back, print out all the pictures, try to work on the layout with the art director. I still believe in that process. Who will be the protagonist of this campaign? Who is your model, actress, or celebrity? DA Second- The photographer. This choice is crucial. We used to have only a small group of photographers and they controlled by the whole market. Now, there is the opening of a new, fresh, young generation of photographers. Chose well and be open to using new talent. DA Third -How you communicate. Social media is critical. Using social media instead of the usual channels to send out and distribute information. Having said that with Vogue Poland, we are doing an advertising campaign on buses, and it does work. Today, you have to think of, and cover everything. It’s far trickier today because there are so many ways to communicate. DA: Think what and whom your customers will relate. For instance Meghan Markle. She is a perfect brand ambassador. Everything she wears sells out the next day. Influencers are another way to brand and to re-brand. You have to think about reaching your market from a 360-degree perspective. If YOU are ready to invest in your business, unlock its value and gain brand fans then we can help you build that master plan, contact us today. 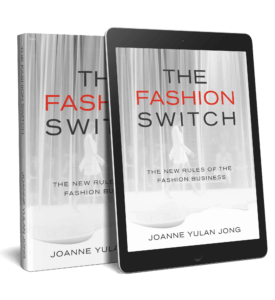 Joanne Yulan Jong a Creative Director, Fashion Writer, and Author of the bestselling book THE FASHION SWITCH ‘The new rules if the fashion business’. She has been invited to be a regular columnist for WWD magazine.